Ivan Rebroff (31 July 1931 – 27 February 2008) was a German vocalist who rose to prominence for his distinct and extensive vocal range of four and a half octaves, ranging from the soprano to bass registers. Instantly recognizable in trademark Russian chic - Cossack hat and brightly coloured peasant garb or fur greatcoat - Ivan Rebroff, was a European singing sensation. During the 1960s and 70s, he projected a television-friendly image and a sentimental picture of Mother Russia at odds with cold war rhetoric. More importantly, his voice gained him admirers worldwide. His repertoire comprised folk songs and carols, opera and operetta, hymns and songs from musicals, delivered variously in Russian, German, French, English and Afrikaans. 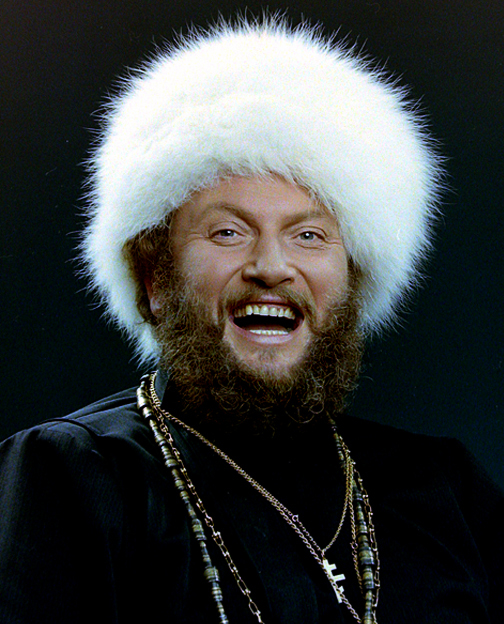 Rebroff, the epitome of a Russian singer for many, was, in fact, born Hans-Rolf Rippert in Berlin's Spandau district. He always played his cards close to his chest about his origins. His engineer father apparently came from Hessen, while his mother, he said, was Russian. He grew up in Belzig in Brandenburg and Halle in Saxony-Anhalt. 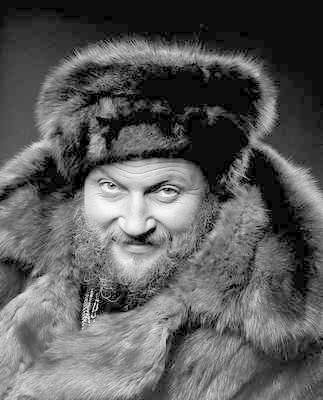 At first he tried for a career in opera but despite his range failed to secure a future, instead he fell back upon his Russian heritage and soon found himself as soloist for Cossack Choirs (Don Cossack Choir, Black Sea and Ural Mountains Cossack Choir. 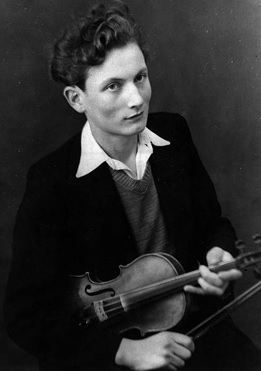 He progressed from singing in choirs to studying singing, piano and violin in Hamburg between 1951 and 1959 on a Fulbright scholarship. His professor of singing and voice, Adolf Detel, guided him towards eastern European song. After graduating, Rebroff showed his versatility, donning many musical hats including major operatic roles and performing the work of Hugo Wolf. renditions of the popular musical won him international acclaim. 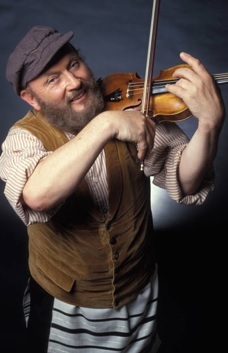 France's love affair with Rebroff had begun and Rebroff joined Zero Mostel, Chaim Topol, Shmuel Rodensky, Alfie Bass and Lex Goudsmit in the international pantheon of Tevye interpreters. 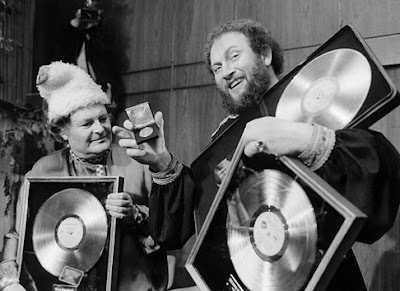 Rebroff employed his extraordinary vocal range - described in the Guinness Books of Records as extending "easily over four octaves from a low F to a high F, one and a quarter octaves above C" - on albums with titles such as Kosaken Müssen Reiten (Cossacks Must Ride, 1970). 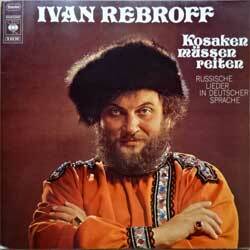 There are two, not necessarily contradictory accounts of why he adopted the stage name "Ivan Rebroff". In Russian that surname means "rib" and consequently carried an echo of Rippert since Rippe means "rib" in German. Rebroff was also supposedly the name of a famous singer with Moscow's Bolshoi theatre. 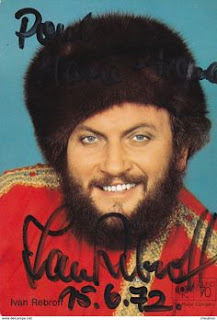 Throughout his career Ivan had an impressive recording portfolio with an amazing 49 golden albums worldwide in South Africa, Australia, New Zealand, the Pacific Islands, USA, Canada, Iceland and almost every European country. 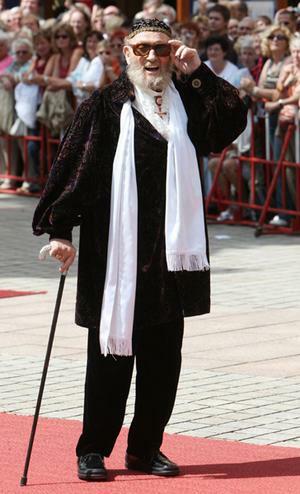 He sang opera, light classics and folk songs in many languages. Laterally he based himself on the Greek Island of Sporade but worked tirelessly with a punishing average of 150-200 concerts per year. When he was in Australia in 2004 his schedule included 12 shows in 14 days. Until almost the end of his life, he maintained a rigorous touring schedule, and his last concert was in Vienna in December 2007. Rebroff died February 28, 2008 in Frankfurt am Main, Hesse, Germany of heart problems. Rebroff never married. After his death, Horst Rippert emerged to lay claim to part of his estate. The German press described him as his "secret brother". 4. Poljuschko-polje (Cossack patrol) [Russian] [2:44]. 8. Moskauer Nachte (Moscow Nights) [Russian] [2:40]. 15. Abendglocken (Evening chimes) [Russian] [3:42]. This recording, originally available through Phillips, has original European language recorded tracks. The quality of the recordings, taken from various concerts and studio sessions is excellent. Rebroff is able to showcase his immense talent and range in the pieces chosen. If you don't know about Rebroff and want just a sample, this is the CD to get. If you're already a Rebroff fan, then this is a must for your collection, most of his best-known standards, well-done technically.